MMI grows a wide range of oriented single crystal optical fibers. Materials include sapphire and YAG; diameters can range from 60 μm to 500 μm. Designed for reliable operation in harsh chemical and electrical environments, the OptoTemp 2000 is unaffected by microwave/RF radiation and plasma. It measures temperature using fluorescence decay, a field-proven technique in hundreds of industrial installations for more than 20 years. 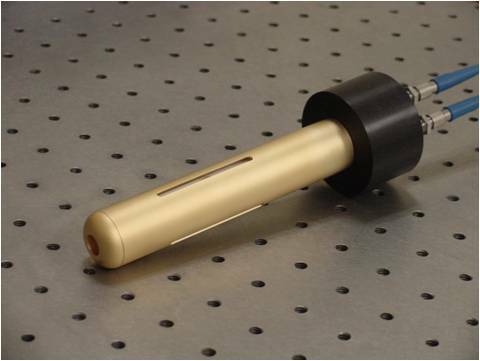 The EVAS fiber optic chemical sensor is based on the same principle as the attenuated total reflection (ATR) probe. Its much longer interaction length, however, makes it orders of magnitude more sensitive. 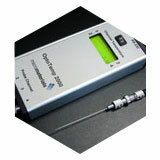 Self-referencing feature provides precision measurement capability. 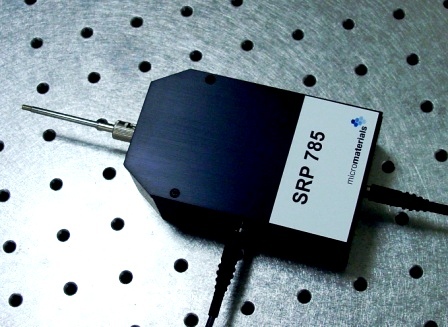 These low-cost, frequency-stabilized blue lasers are ideal as light sources for Raman and fluorescence spectroscopy.